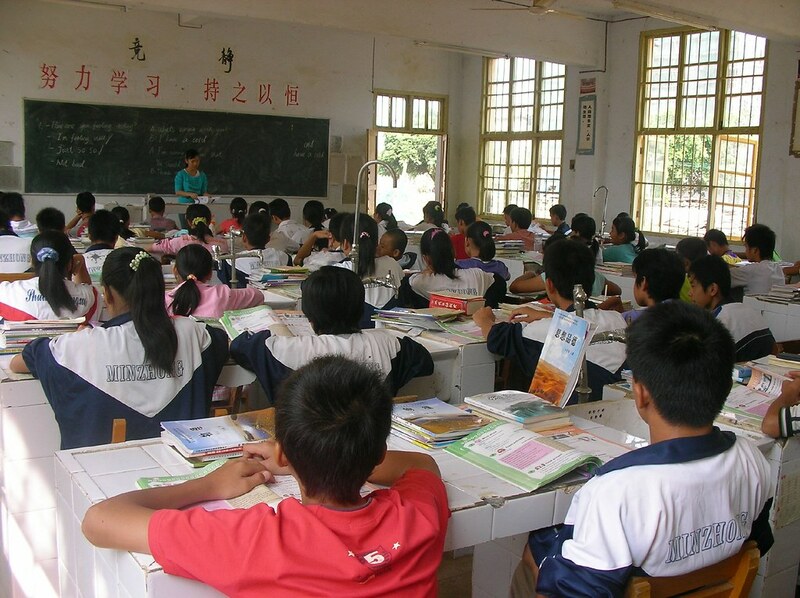 Facing severe social competition, China's youngsters are under increasing academic pressure. Can a new government policy help ease their load? BEIJING — At the end of December, China's Education Ministry issued a notice to all provincial governments concerning the "reduction of the academic burden" of elementary and high school students. Dubbed the "unprecedentedly severe academic burden reduction order", this is in fact just a policy that the government has been reiterating every year. Alas, in reviewing the history of this reform, and the reality of the increasingly heavy academic burden laid on school pupils over the years, it's hard to be convinced of the new order's effectiveness. In essence, educational issues involve not just education itself, but also a microcosm of social problems. Numerous are the policies which start out as good initiatives, only to lead to results that are exactly the opposite of what was intended. Educational issues involve a microcosm of social problems. For instance, the measure to finish the school day at 3:30 PM ended up with parents sending their offspring to cram schools because they themselves were still at work at that hour. As a result, the shorter the school hours, the more time students spend in supplementary courses, often of an academic nature. In the past year, the government's focus has been on the management of off-campus training institutions. The government wants each child to start elementary school at the same level as the others. The new measures are aimed at stopping cram schools from proposing courses which will in turn be used by both elementary and secondary schools as a standard for selecting pupils. This is also to avoid a vicious circle where the school day is shortened but the pupils' burden is just prolonged into the cram schools. There is, however, a question mark over whether cram schools will accept the new rules. Based on my interviews with parents and these off-campus institutions, I'm afraid these coaching schools will simply disguise themselves, or maneuver around the rules, while essentially remaining the same. As experience in Taiwan and South Korea shows, unless a balance of supply and demand is found between these off-campus institutions and families, either the cram schools' prices will soar, or they'll simply turn into black market services and be a security hazard. We point this out not to negate the government's management efforts of the cram schools, but just to explain that it is important to address both the symptom and the root of the problem. After all, the key issue lies in relieving families' need for off-campus support. For instance, in the newly issued notice, the rules include promoting compulsory education without any entrance examination, prohibiting the selection of elementary pupils, and strictly forbidding using the pupils' results from cram schools as the base of their enrollment to schools. Meanwhile, the enrollment of private elementary and middle schools should be unified with that of the public ones, so as to remove irrational educational outcomes. Thus, the ability to alleviate families' off-campus dependence is the key to whether the new order will achieve its goal. The reason why the government's intention of reducing youngsters' academic burden hasn't been effective so far is because either the measures were not in place or the policy itself is not realistic. Youngsters are under enormous pressure, while parents project great expectations on their kids. For instance, regulating the amount of homework is beside the point, since every child's intelligence and learning capacity differs, and they require a different amount of time for the same academic load. This is not to mention that even if schools do not give homework, it doesn't guarantee the parents won't impose it on their own offspring. What matters is that the government's measure combating the academic burden falls into the trap of the "prisoner's dilemma". Chinese parents cannot trust other Chinese parents to limit their children's educational burden in the same way. They are so anxious, whatever level of society they belong to, that their children can move upwards socially, or at least can safeguard the same level of wealth or status as their elders. When parents are convinced of the need to boost their offspring's competitiveness through cramming, and the local authorities are under pressure to improve academic performance, a paper ban or a slogan won't change anything. The evolution of education ecology is closely related to social ecology. If the government wants to achieve a reduction in the academic burden, it is not enough to rely solely on an improvement of the educational ecology. For example, unless Chinese employers' diploma-oriented way of hiring is changed, it will be difficult to change China's educational ecology completely. From this point of view, it is hard to imagine that the government's new objective in reducing academic burden can be accomplished any time soon.